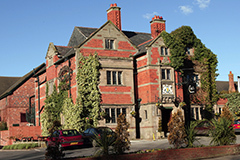 In this role you will be working for Nelson Hotels, a leading hotel group operating a collection of individual Inns and a hotel throughout the Cheshire area. 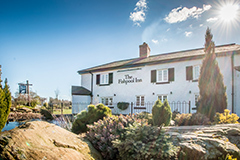 The Pheasant Inn located in the Cheshire countryside is looking to recruit a Chef De Partie to join the successful brigade at this award winning site. 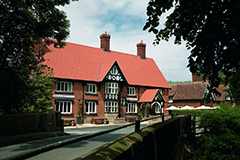 The Inn was recently nominated for ‘pub of the year’ for BBC Countryfile Magazine Awards, and voted ‘Best Pub’ Taste Cheshire awards 2018. 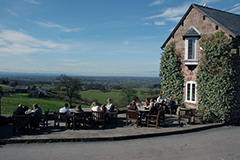 This is an excellent opportunity for a talented Chef de Parte to join our busy kitchen team. The successful candidate will get to work in a professional, challenging and rewarding environment where the standards set are consistently high. We are looking for someone with the ability to deliver high quality fresh food and who also possesses the drive and enthusiasm to test new ideas, someone who is able to work well under pressure and deliver outstanding results. The ideal candidate will have experience in using seasonal local produce to a high standard and quality. This position would require a responsible individual with good attention to detail and strong organisational and supervisory skills, and be able to demonstrate working at this level in previous roles. We are looking for an enthusiastic, helpful, committed Chef de Partie who wants to learn, is ambitious and has a sense of hard work and fun.